The time of the year has arrived when the nature loves to paint in red, yellow, oranges, golden, and browns. Autumn has started turning the colors and has brought the time when people love to have a leaf-peek, spend great time admiring the fall foliage with loved ones. Dogs too are big fans of the fall. They love to play in the pile of beautiful red leaves. There are several places in the country that could be perfect for visiting during the fall along with your canines. The magic of the fall is not something that you should miss this year. Plan a short trip to one of the following locations to enjoy the hues of autumn with your furry friend! Following are some of the dog-friendly places that you must visit this fall! The Maroon Bells are considered to be one of the most spectacular sights of the fall. The red mountains and the dog friendly parks make this place suitable for a short visit. If your pooch loves to have a splash, these mountains also have 2 pools that could make your dog’s day. The Ozarks offer a two-mile rim walk that gives the visitors a splendid look around the mountain top. Talimena Scenic Drive, Crowley’s Ridge Parkway, and Great River Road are some of the most beautiful driving lanes for enjoying the beautiful leaves of autumn. The first two weekends of October is the busiest time of the year in Vermont. The red maples are amongst the first ones to turn red. The Dog Mountain welcomes the canines and their parents for a never-ending hiking trail of 400 acres. There is also a well-known dog chapel, not to be missed place in autumn. This historic park has a landscape that offers a picturisque view full of rich colors. Though the peak season for this park is in mid-October, the time may vary. Many trails allow canines to enjoy the dry leaves of the park. Catskills are located in the Hudson Valley region of New York at about 100 miles north of the city. This place is considered to be America’s First Wilderness by many people. 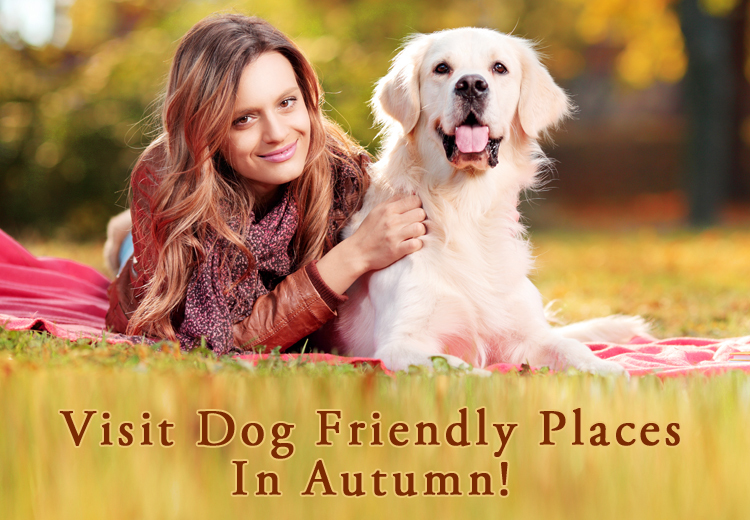 Here the leaves change their colors brilliantly and this place offers many things that could be done with your pooch. There are many more such places that you must visit this fall with your furry friends. Pick the nearest destination and plan a fun weekend this or the next weekend to enjoy the autumn bliss!